How to Earn through SWAGBUCKS? 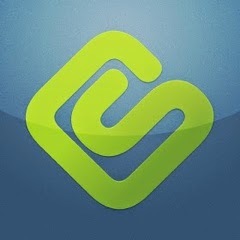 It is pretty easy to earn money through swagbucks. All you have to do is simple tasks which includes Doing surveys, Playing Games, Answering Polls, Searching, Watching Movies, etc. SwagBucks lets you spend the points on rewards in its Reward Store. Example: 850 points become £5 Amazon Voucher as well as you can also grab cash if you wish. 1. For playing games, you can gain upto 30 swagbucks for each game you play. 2. Daily poll will be available there which lets you earn 1 swagbucks each time. 3. Special offer: NOSO will let you earn upto 2 swagbucks daily. 4. Tasks can let you pay swagbucks depending on the task. 5. Doing online surveys will let you earn more (few hundred swagbucks). 6. Searching through swagbucks can also make you 50-60 swagbucks per week. 7. Doing offers can also make you earn few Swagbucks. 8. Shopping through coupons available at Swagbucks can also let you earn some swagbucks. To redeem your cash SwagBucks has several options available like Flipkart Giftcards, Amazon Giftcards, Paypal money transfer, etc. To earn more you can refer your friends to SwagBucks and earn upto 1000 swagbucks your referred friend earns. Till now, SwagBucks is paying regularly and is Genuine.